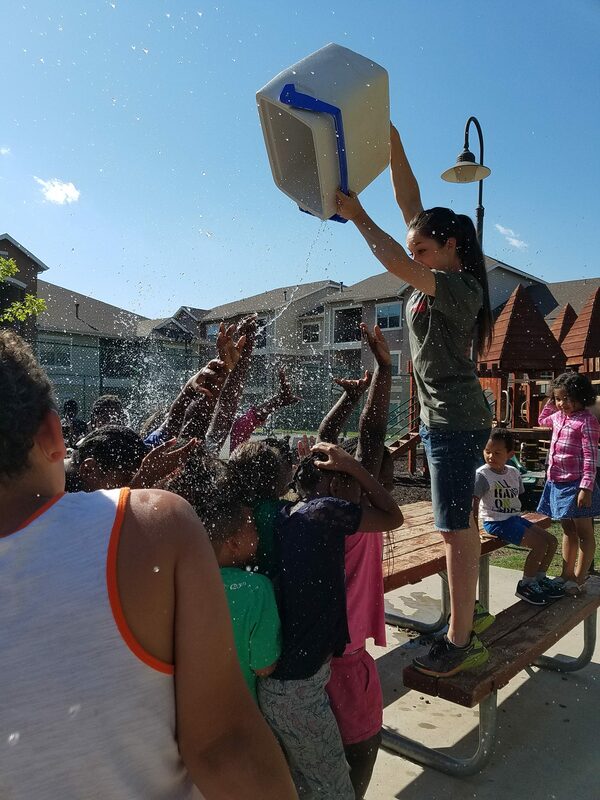 The kids at Ridgecrest have discovered how much fun we can have with water balloons. Our wet and wild version of Duck, Duck, Goose has quickly become a favorite. 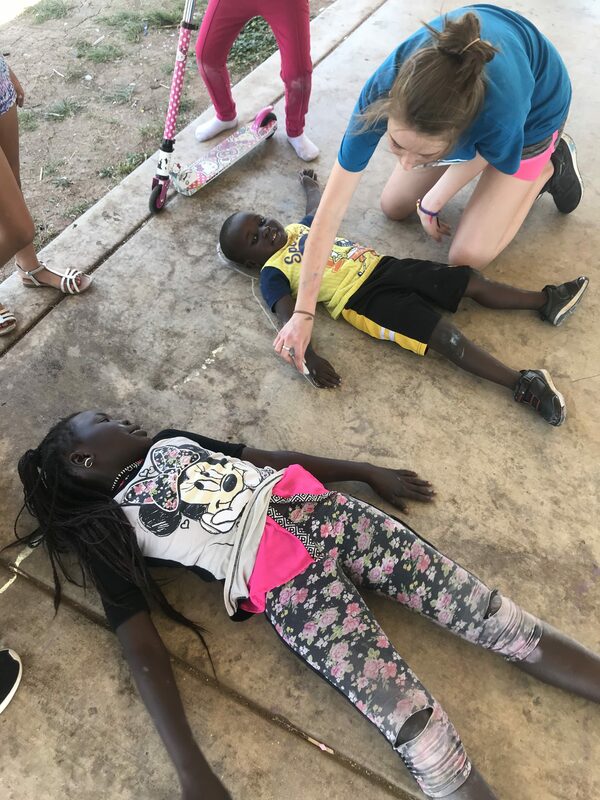 In early June, the youth of the Church at Bushland put on a Week of Fun for a combined group of Cathy’s Pointe and North Grand Villas kids. The fun ended with something the kids look forward to every year – the giant slip and slide. 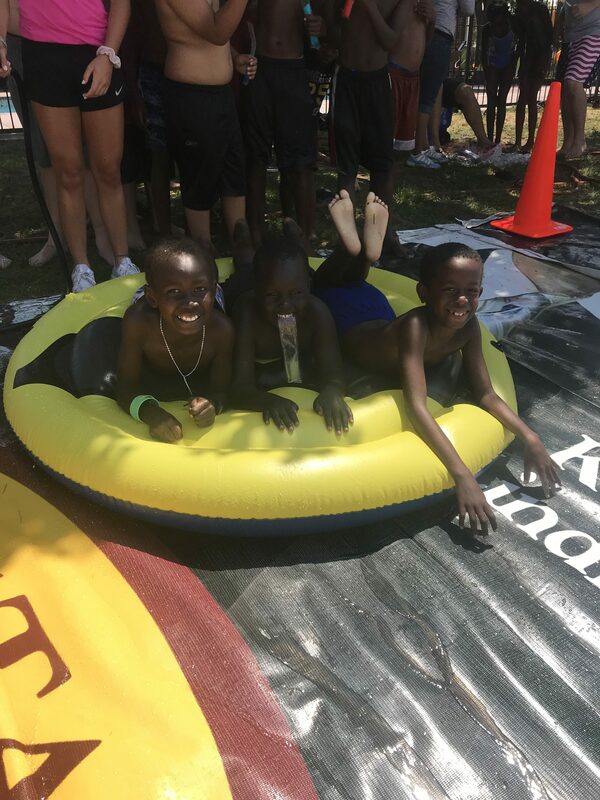 Tarps, water, and inflatables – it’s a great combo. 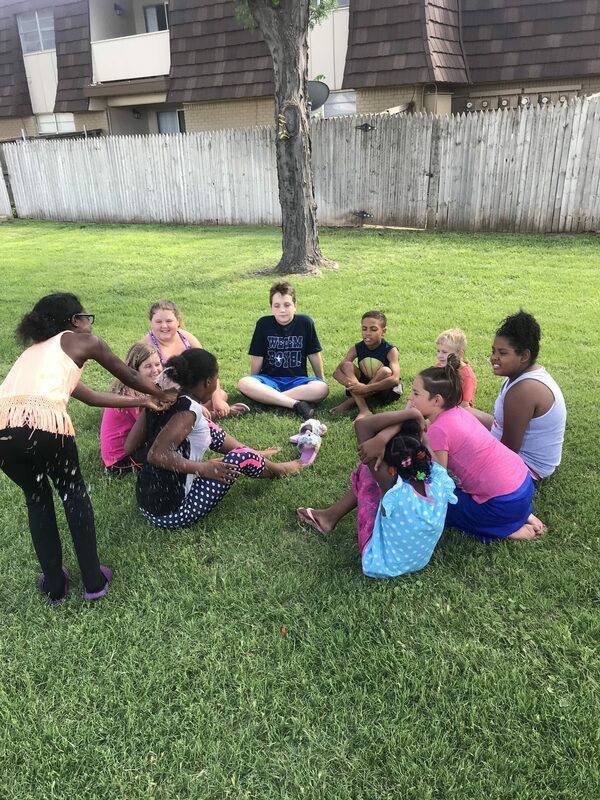 The last week of June, we had a huge group come all the way in from the Fellowship at Huntsville (TX) to put on a week of fun at all 7 of our properties. It was an absolute blast. 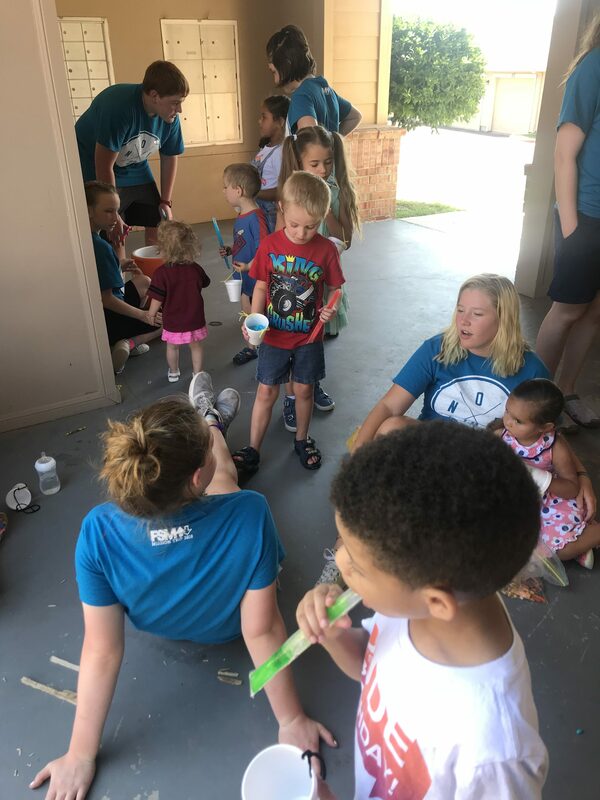 From chalk to games to crafts to Bible stories and popsicles, our kids loved every minute of it. Over 100 kids everyday experienced fun as well as the love of Jesus. 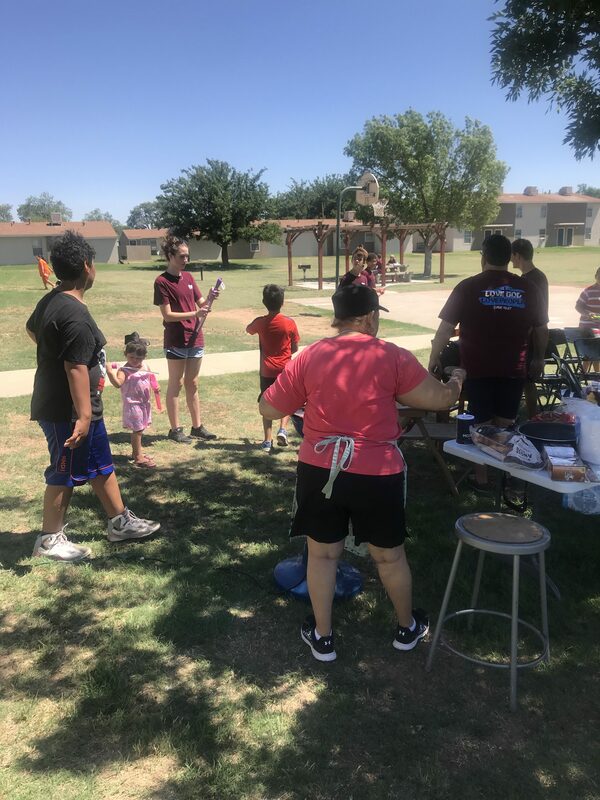 At Spring Terrace, one of our residents, Sylvia, so appreciated the team and all they did for her grandkids that she held a lunch time cookout for them. 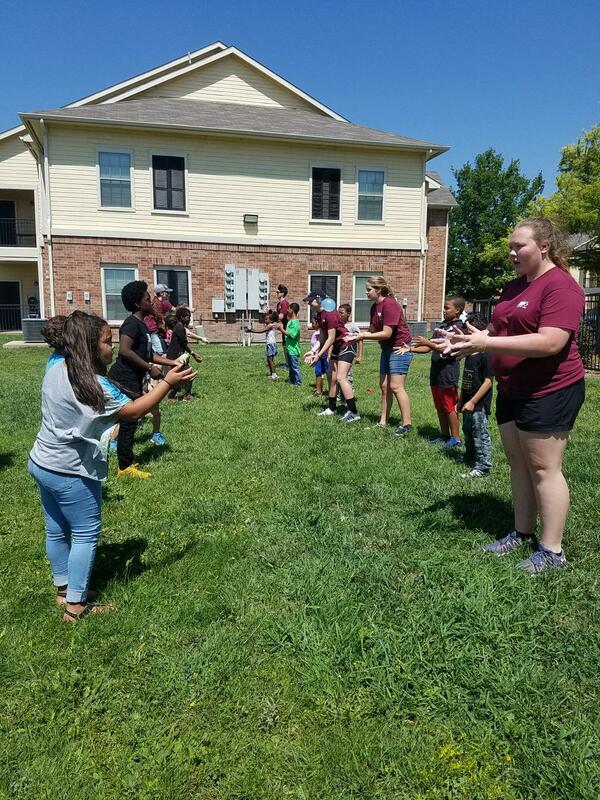 It was a sweet time of community for residents and for teenagers who took time out of their summer to impact the lives of our kids. There’s no better way to end an incredible Week of Fun and first month of the summer.